Interlube Systems limited recently fitted state of the art Grease lubrication systems to Automatically grease inaccessible bearings on a New Palatizer machine. 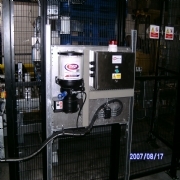 The Lubrication system included Interlube HDI grease pumps all contolled by fully adustable controllers. 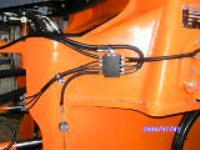 The controller would monitor the system operation at all times and indicate a fault to the operator should the system not be lubricating correctly. 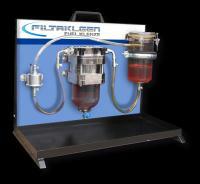 Please send me more information on Acmi Palatizer fitted with state of the art Automatic Grease Lubrication System.